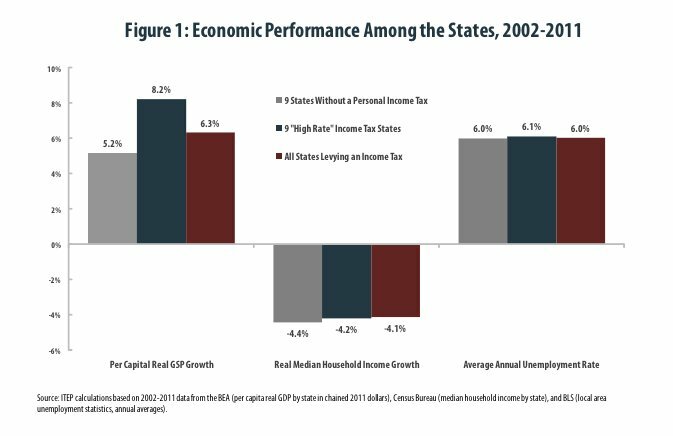 That may be inconvenient news for several Republican governors, who have recently proposed cutting or eliminating the personal income tax in their states. Louisiana and North Carolina have proposed ending their state's income taxes, and Oklahoma and Kansas are considering cutting theirs. Louisiana Gov. Bobby Jindal (R) said in January that abolishing the state income tax would "make Louisiana more attractive to companies who want to invest here and create jobs." And Republican leaders, from House Speaker John Boehner to Senate Minority Leader Mitch McConnell, have claimed that raising income tax rates would hurt the economy. You might want to think twice about getting that schmear. In New York City, bagels that are sliced or prepared are subject to sales tax, whereas whole bagels are not, <a href="http://online.wsj.com/article/SB10001424052748704340504575448033463314628.html">according to</a> the Wall Street Journal.